for financial services - solved! How do you overcome your biggest customer experience issues? 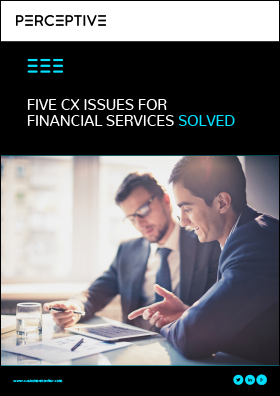 In this eBook we'll explain how to get around the biggest issues businesses within this industry encounter when managing their customer experience (CX).